Our associates are valued, long-term business colleagues. Over the many years we all have been in business, and have provided services to each other's businesses as the opportunity arose. Our mutually supportive relationships have allowed us the flexibility to provide valuable services to our clients and scalability for larger jobs. Zee Designs is delighted to be working with JETServ, a premier translation service. All our translations are done by the experienced team of Lucia & Yasuhiko Ishii, native speakers of both English and Japanese, so you can rest assured that your original content will not only be fully and accurately translated, but naturally worded and appropriate in the cultural context of the target language. 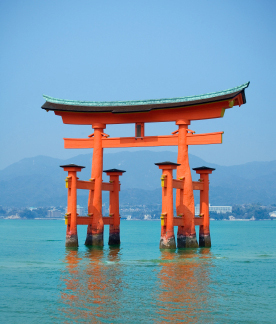 JETServ offers both Japanese-to-English and English-to-Japanese translations for various venues, including general translation of business documents, business and personal correspondence, manuals, catalogs, computer and technical material, web pages, as well as education and language materials. They are an associate member of the American Translators Association (ATA). Visit the JETServ Website to learn more.